1 0 Y E A R S O L D ! This year we are celebrating 10 years of Domaine Jones. 10 years!!! Incroyable. We started in 2009 with just one vineyard in the village of Maury and made a couple of hundred cases. 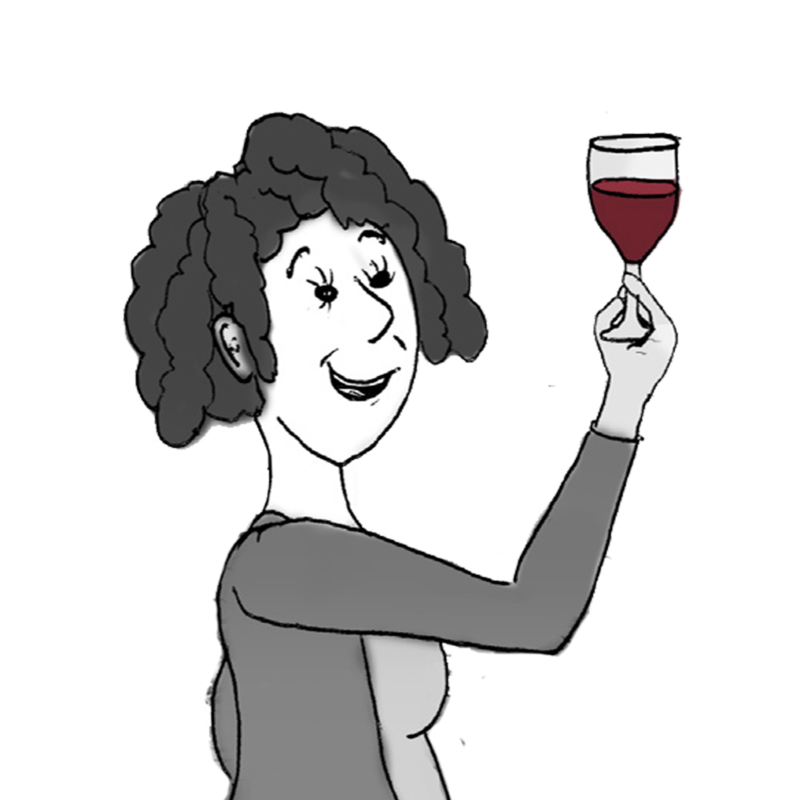 The plan at that stage was only ever to make two wines - Jones red and Jones white. 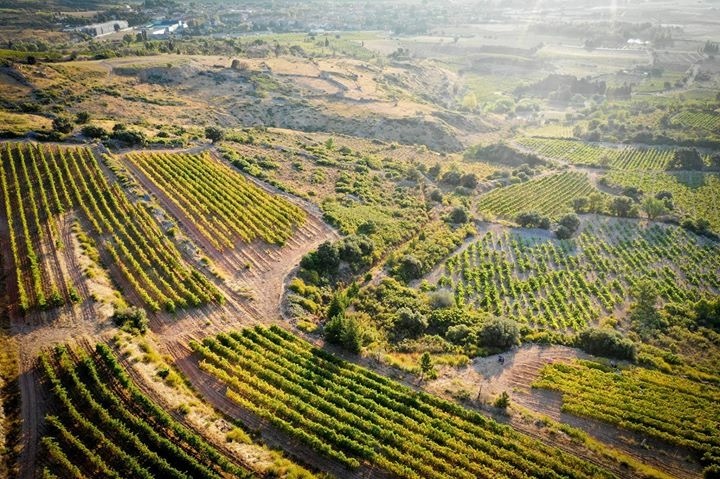 Today we produce 40 000 bottles from 14 tiny vineyards in and around the village of Tuchan and have a range of 11 wines. 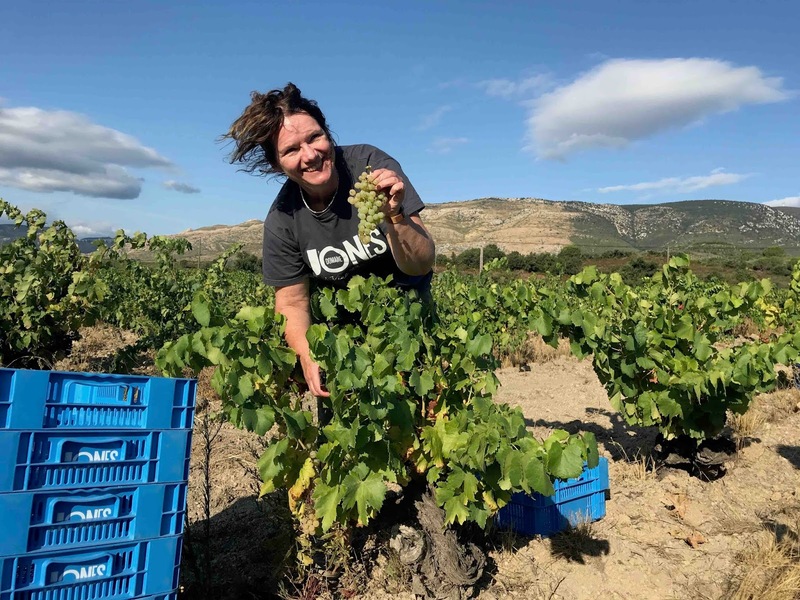 We probably have one of the most daring business plans ever – 14 vineyards scattered over 30 km, exclusively old vines that need a lot of looking after, limited production wines from an area not known for expensive wines. But we have built our business on doing things differently and it seems to be working. When you read in the press that we are ‘taking Fitou to the next level’ and ‘a leading light’ it pays to be different. We have come up to some pretty strong opposition locally and that doesn’t include the wild boar, forest fires and storm force winds. And we have moved winery 3 times to finally find the perfect building in the train shed. 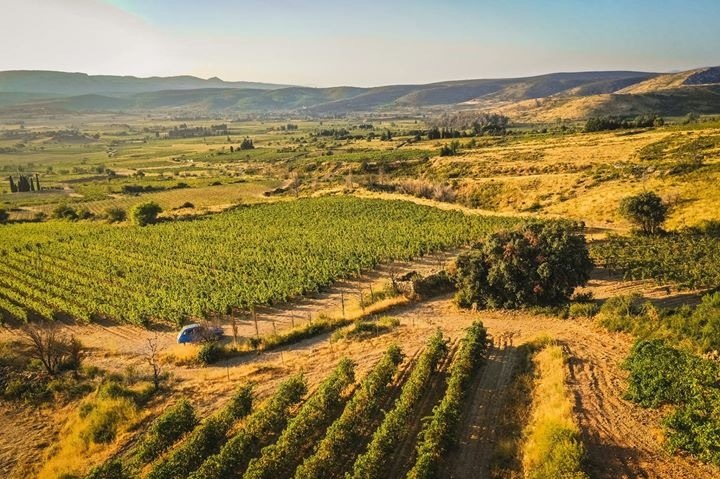 So what does the next 10 years hold – well, we won’t be buying anymore vineyards! But we will be concentrating on getting the most from our existing 14 vineyards. And that means registering them as organic and even trying out homeopathic remedies on our vines using the local herbs. 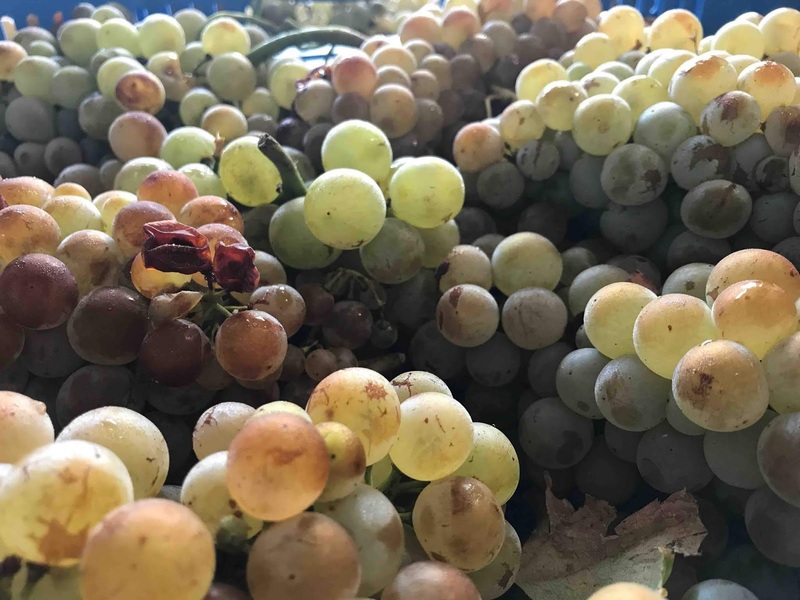 In the winery we will continue to understand each different grape variety and adapt wine making accordingly like we did with the Lledoner or Hairy Grenache grape! Thanks for all of your support and here’s to the next 10 years!! From our breathtaking vineyard near the village of Maury. Domaine Jones started here in 2009 when I purchased 8000 vines planted on dark black slate soils overlooked by the impressive Queribus castle. I fell in love with the vineyard and the wines that it produced didn’t disappoint me either. 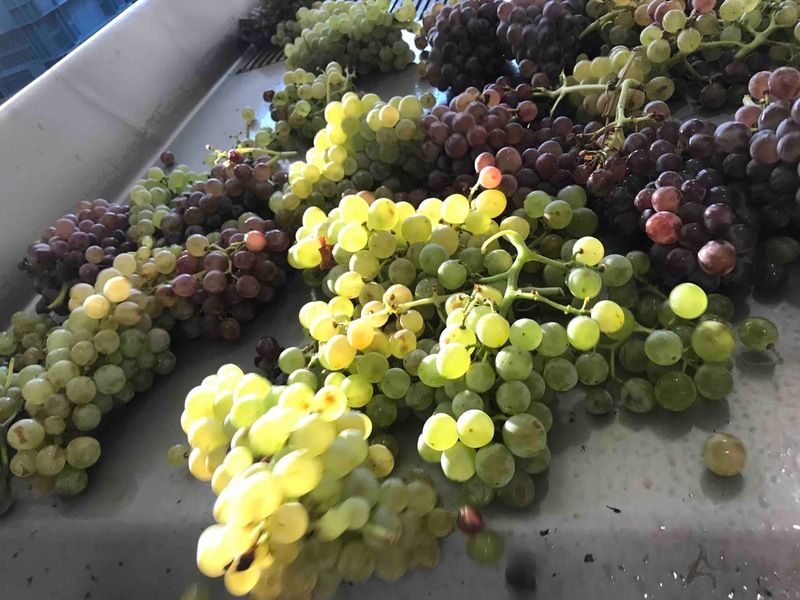 The Grenache gris grapes were picked by hand early in the morning in our vineyard in Maury into cases containing a maximum of 10 kg. 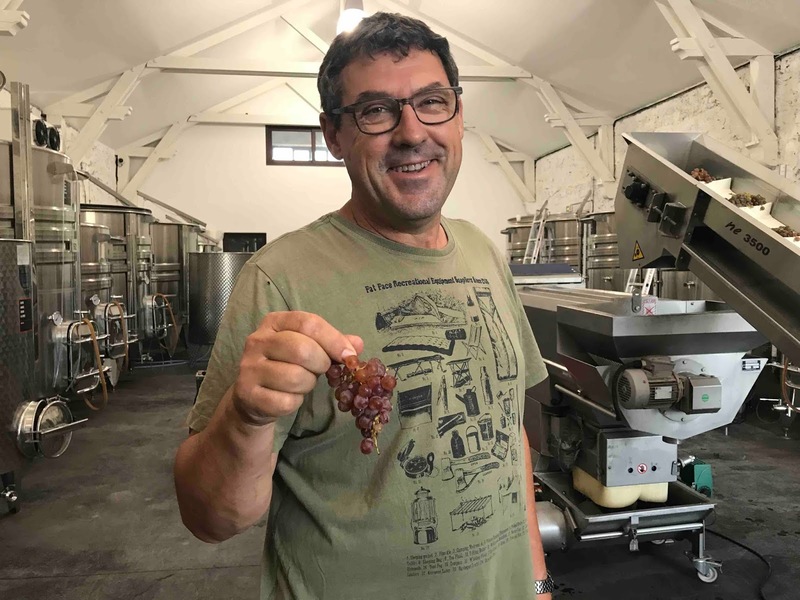 On arrival at Domaine Jones the grapes were pressed and the juice chilled and maintained at between 16ºC - 18ºC whilst fermentation took place. Fermentation took 10 days and 20% of the wine was transferred into oak barrels. The wine in barrel was batonned weekly and the blend made in March 2016. Jones blanc is a delicate pale golden colour. The nose is expressive and fragrant with wild flowers such as mimosa and almond blossom. There is a hint of delicate spice and the oak is subtle and well integrated. On the palate the wine is fresh and lively with citrus fruit, melon, ripe pineapple and pear and a long finish of wild herbs. 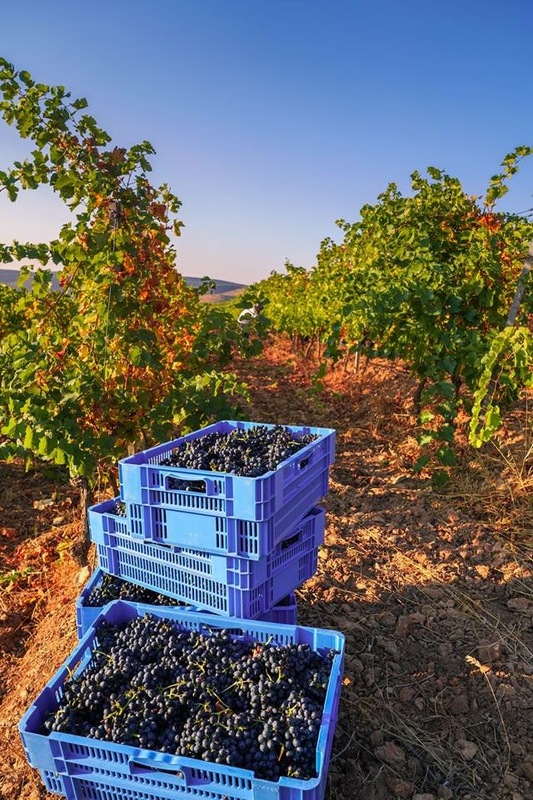 The grapes are handpicked in crates of 12 kg. They are destalked and put into small stainless steel vats and chilled to 5° C for 2 days before fermentation takes place. 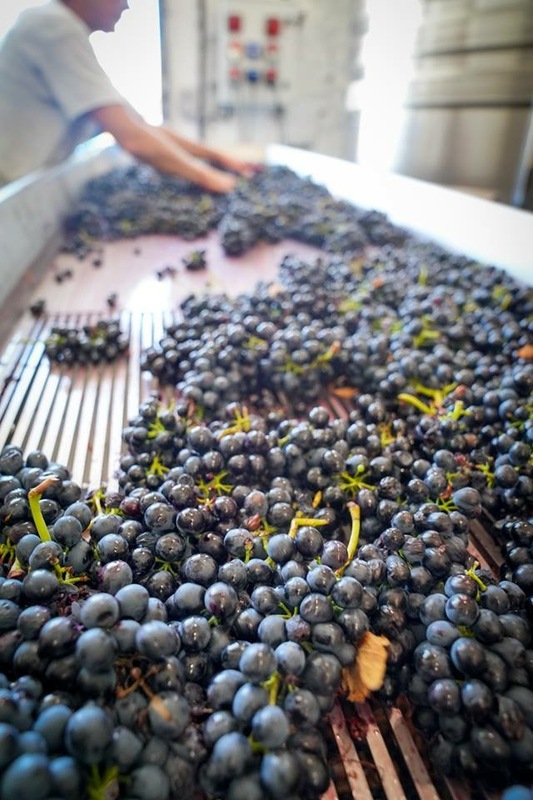 The maximum temperature is 25°C during fermentation. We do a cold soak on the grapes for 3 days before fermentation which takes 10 days . The 2017 is a concentrated soft red with pure, fresh mulberry and red fruits. The tannins are silky and smooth with savoury damson acidity and a good balance. The wine is decidedly moreish, approachable but not simple and is perfect with steak, casseroles or more simply with pâté and toast. 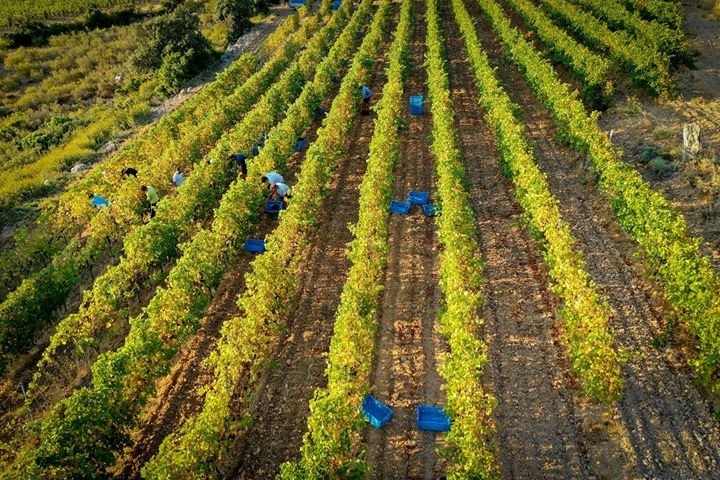 From vineyards in and around the remote village of Tuchan in the Languedoc, southern France. The grapes are picked mid september. The skins are left for 6 hours in contact with the juice to extract just the right amount of colour before being gently pressed and fermented slowly at low temperature. A delightfuly fresh, dry rosé wine with refreshing citrus flavours from the carignan grape and ripe fruit from the muscat adding just a hint of sweetness. Drink well chilled with crisp green salads, cold roast chicken and a little sunshine. This article made my day. 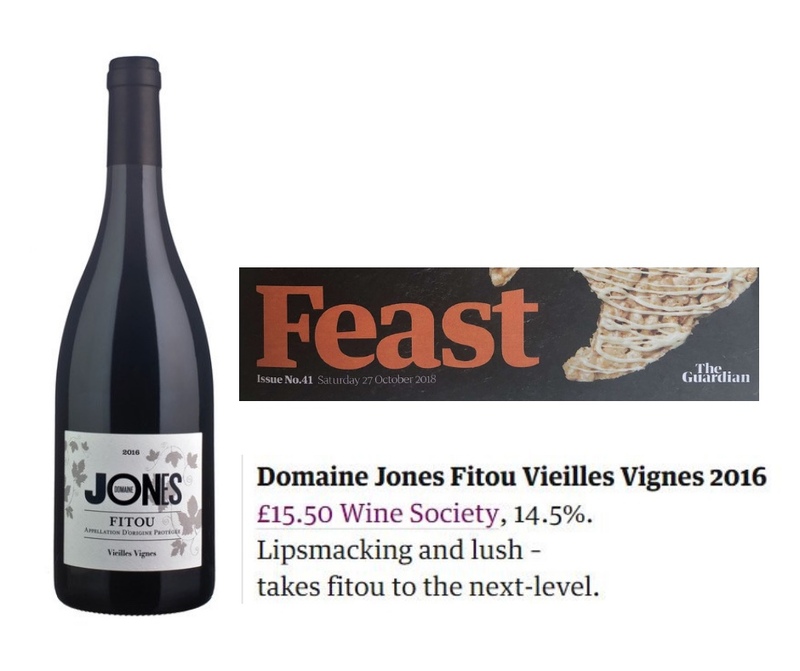 To read in a national newspaper (in this case The Guardian Feast magazine) that my wine 'takes Fitou to the next level' is totally amazing especially when it's the brilliant Fiona Beckett who says it. The 2016 vintage is available at The Wine Society or from my website. We started Domaine Jones’ 10th harvest (yes 10 years already) on the 27th August a week later than last year, which was particularly early, but a week earlier than previous vintages. 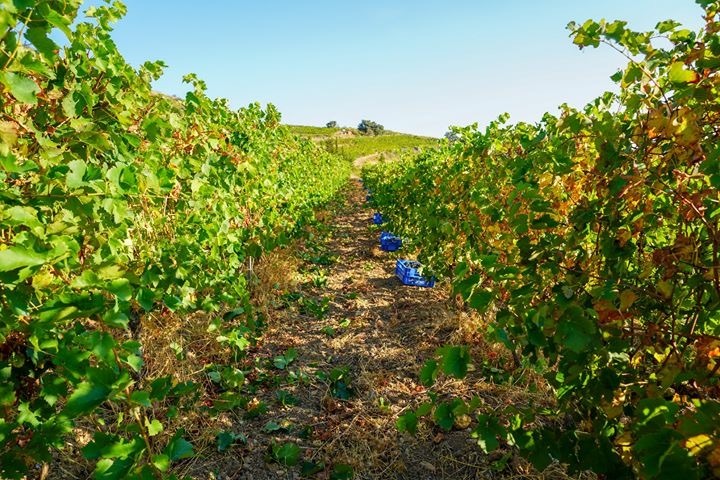 We have 14 tiny vineyards that make up 12 hectares and we hand pick absolutely everything! We started with the Grenache Gris from our original 90 year old vineyard in Maury, followed by the old vine Grenache blanc and Macabeu in Tuchan. I think those old vines in Maury must have been having a rest this year as they only managed to produce 50% of last year’s yield. So a miniscule vintage which was fortunately compensated by a slightly higher yield from the vines in Tuchan. Everything that has come in though has been perfectly healthy and at optimum ripeness thanks to the amazing vineyard talent of Monsieur Jones. No mean feat for a vintage that was particularly difficult given heavy rain in the spring and a resulting abundunce of grass in the vineyards. Perhaps not the best year to start our conversion into organic production but we had to employ an extra person and buy another strimmer to keep on top of it. The resulting juice has been well balanced with less sugar than usual and surprisingly a slightly lower acidity. The freshly pressed juice smells delicious and ferments have so far finished on 3 of the vats producing wines that show great varietal character – grenache gris mineral, lean and stoney, grenache blanc - fruity and plumper and the macabeu lovely ripe pear character and more weighty. 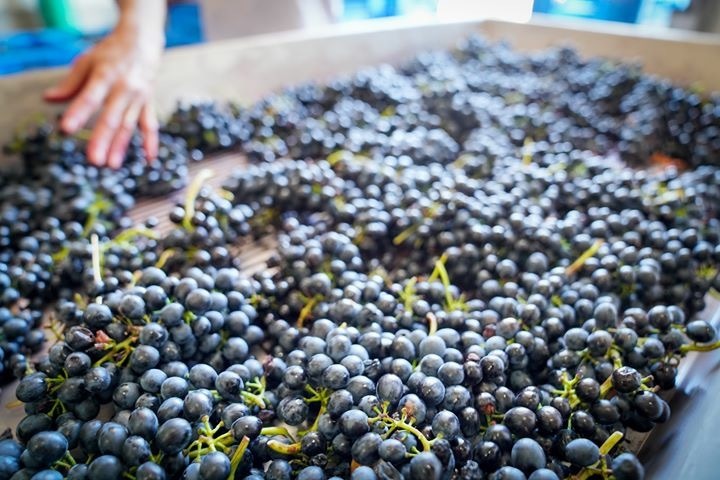 The grapes were easy to press with a high juice content although the press were difficult to settle. 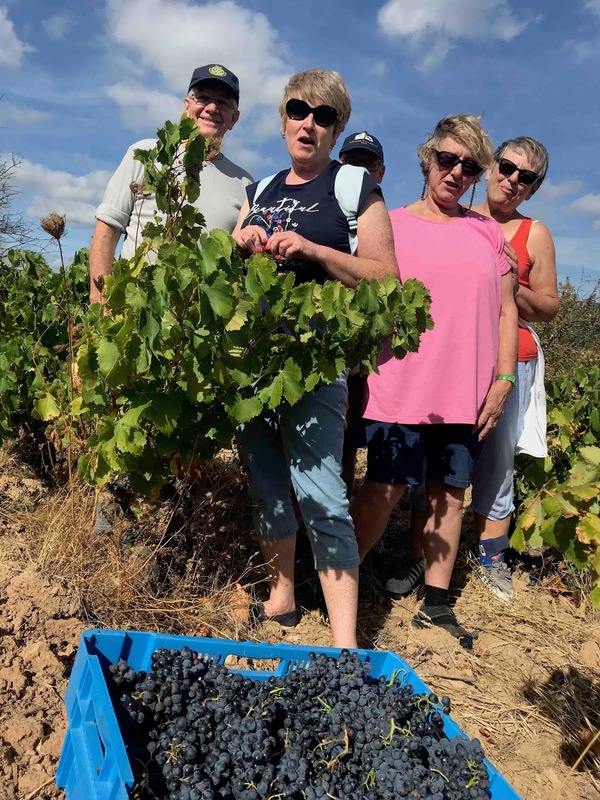 On the reds we have picked everything except for 2 small vineyards of carignan which we will probably pick at the end of this week. We started with the syrah which ripens first, then the grenache and the hairy grenache and finally the carignan which takes a bit longer to ripen. 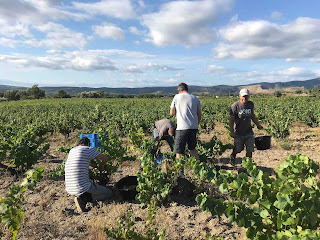 Despite a small heatwave in July which made everyone talk about an early harvest, the ripening of the reds has been slow and on a couple of occasions we have held back our 15 strong team of pickers and delayed picking by a couple of days. In the 10 vintages we have done I have never seen such juicy grapes and such intensely fragrant juice. 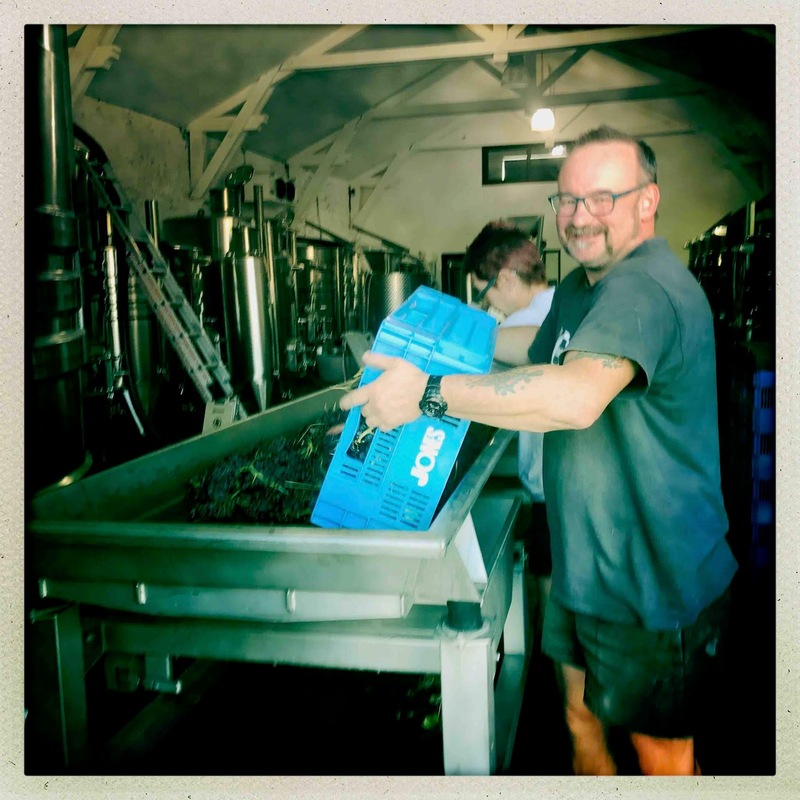 We do 2 rack and returns a day which involves taking the fermenting juice from the vat and then pumping it gently back over the skins and the Gare du Vin winery is just filled with fresh red fruit flavours – strawberry, blackcurrent and raspberry. The ferments just totally have a mind of their own though. Almost as soon as the grapes see the vat they start to ferment so you have to be really quick with the cooling as otherwise ferments would be over before you have had time to gently extract all the flavour and structure from the skins. We put our grapes in a cooling room overnight to get a bit more control but even at cold temperature the red ferments are quick, very quick. 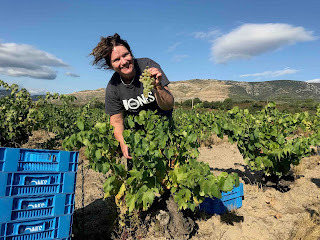 It is early days but we can already see that the syrah are intensely perfumed and dark in colour and the grenache are slightly lighter in colour than usual. We wait to see what the carignan will be like - and of course the hairy grenache. 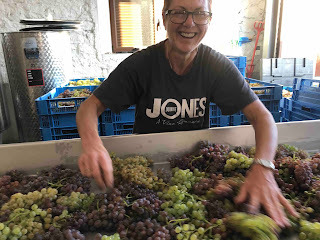 Fingers crossed that the 10th Domaine Jones harvest will be the best one yet! !